Celebrate the Clone Wars with this new t-shirt available at Her Universe. The unisex fit grey t-shirt features artwork of Plo Koon and Clonetroopers, with the phrase ‘Plo’s Bros’ written in Aurebesh. 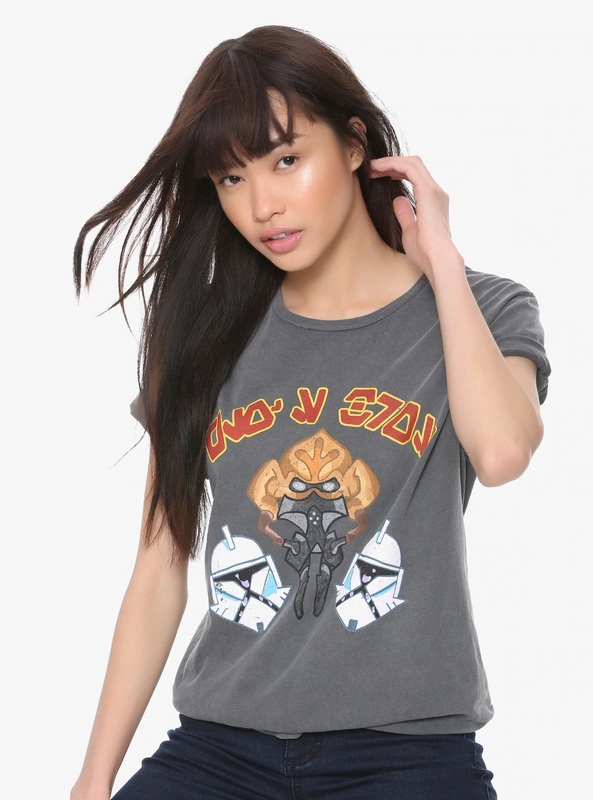 This t-shirt is part of the new The Clone Wars collection of apparel from Her Universe – though this unisex item is under the new ‘Our Universe’ brand that also includes men’s and children’s apparel. 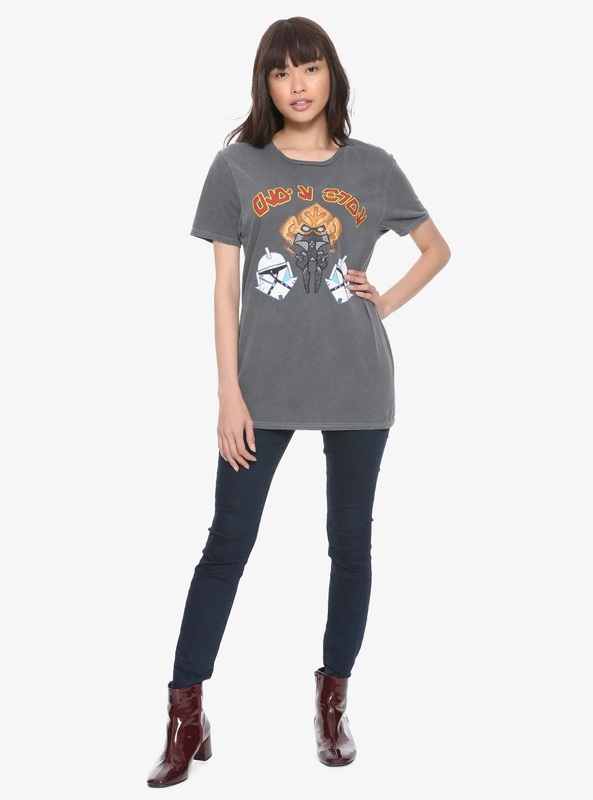 This grey tee features the nose art of the Republic LAAT/i gunships used by the 104th Battalion during the Clone Wars – face of Jedi Master Plo Koon between two clone troopers underneath the words “Plo’s Bros” written in Aurebesh. It’s the perfect tee for celebrating ten years of Star Wars: The Clone Wars! This tee is presented in unisex sizing – because it’s for all fans of the beloved animated series. 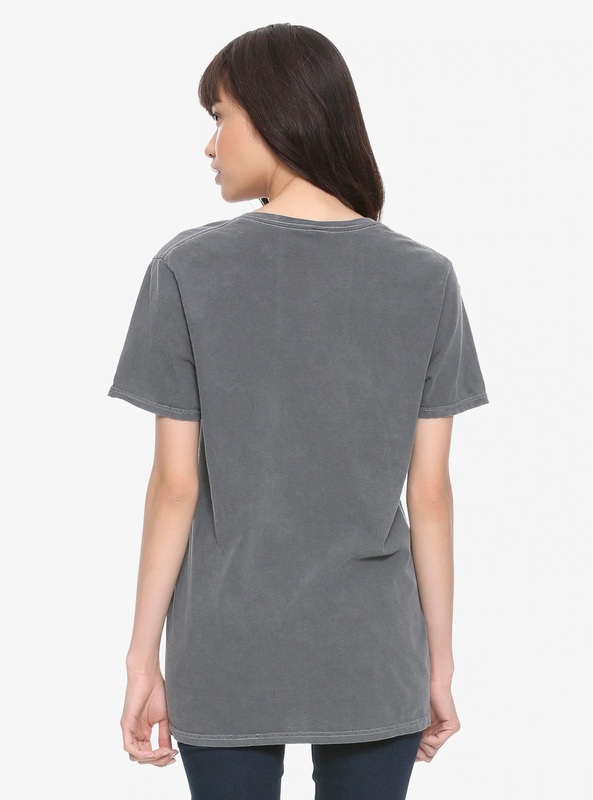 Available in unisex sizes XS to 3X, the t-shirt is priced at US$24.90 each. 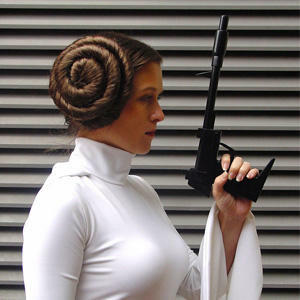 Unfortunately due to licensing restrictions, Her Universe can only ship Star Wars apparel to the US and Canada – overseas customers can order via a mail forwarding service like MyUS.